Looking for a little “light” reading with life-changing truth and ticklish humor? This book is for you. Popular author and speaker Patsy Clairmont weaves stories and scripture between lasers, lighthouses, and lamps to illuminate the heart and enliven the spirit. Whether you’re bored with the routine, struggling through a crisis, or just ready for a good word, Patsy meets you there with vulnerability, inspiration, and an infectious grin. 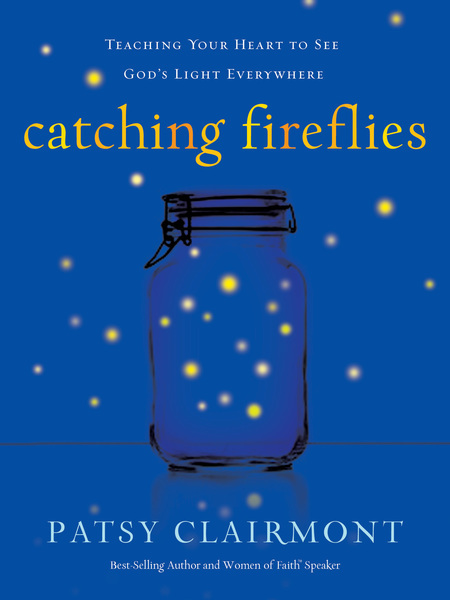 As a daily devotional or weekend read, Catching Fireflies will light up your day even as it brightens your smile.